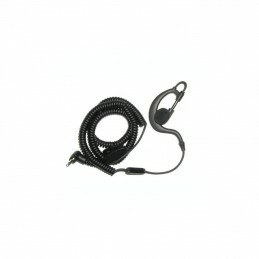 The Tactical Ear Gadgets EP5AV Earphone comes with a 3.5mm connector, an 18 inch coil length, and with volume control. The earloop is made of soft flexible rubber for a comfortable fit. The post allows the speaker to rotate to affix to either ear.